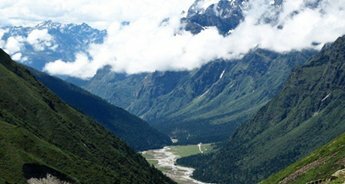 If you want to go to one place where you could see the bewitching scenery of Austria, ancient monasteries of Bhutan, frozen majesty of Nepal, sparkling lake of Switzerland, heritage trails of Lisbon and narrow valleys dotted with flowers of Medellín, then that one unique destination has to be Sikkim. 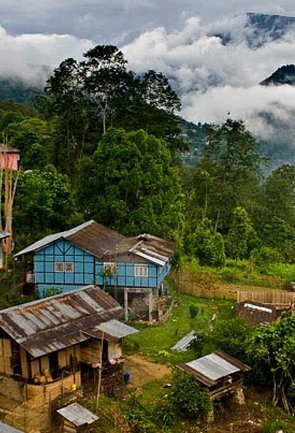 This tiny mountainous state with a small population is quite close to heaven. 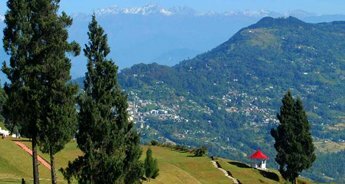 And the best way to discover this wonderland is by signing up for the package called Splendid Hills of Eastern Himalaya, which is offered by Tour My India. 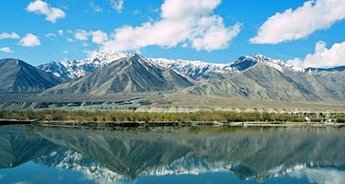 Unlike the other tour package, it will take you through some of the remotest areas where everything is simply beautiful and pristine. 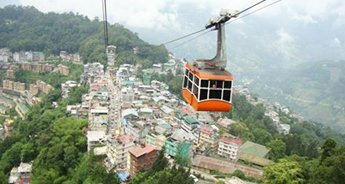 Your expedition will start from Darjeeling, where you will be going for a city sightseeing tour and then you will proceed to Gangtok. 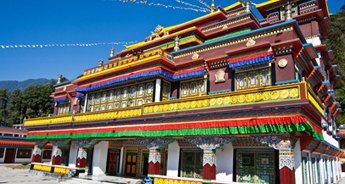 When in Gangtok, you will be going for a city sightseeing tour and covering Dro-due Chorten, Enchey Monastery, Banjakhri Fall, to name a few. 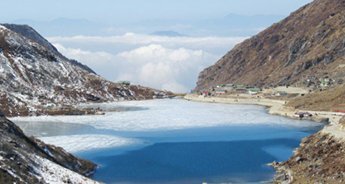 In this sleepy part of Sikkim, landscapes might be stark and cold, but the people are the exact opposite. 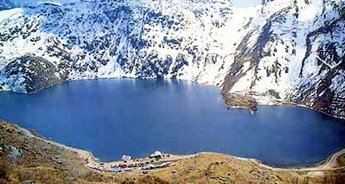 Next destination on the itinerary is Lachung, and before even you reach this place, you will fall in love with the route that takes you there. 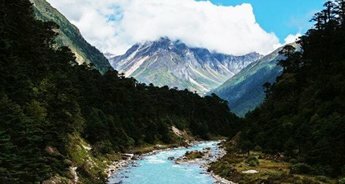 Once you are soaked in the essence of Gangtok, you will take you to Yumthang Valley, Sikkim's answer to Valley of Flowers in Uttarakhand. 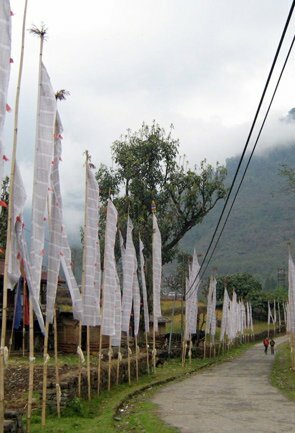 During the spring season, the valley looks like a stark of colors with rhododendrons and Himalayan wildflowers, Buddhist prayer flags, and tiny huts made of wood. 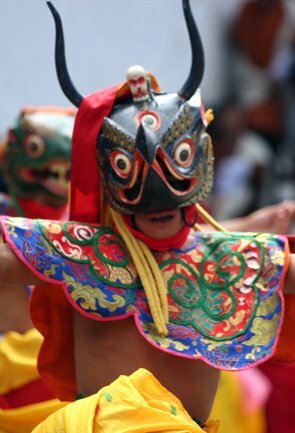 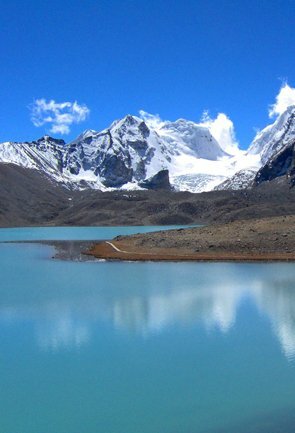 Further, you will go back to Gangtok, which marks the last day of your expedition. 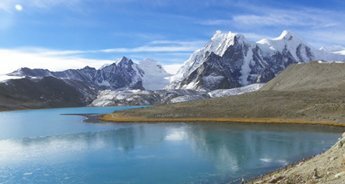 With this thrill, the tour will come to an end, and you will be packing oodles of beautiful memories along with your belongings. 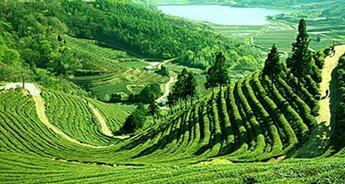 Discover the charm of Darjeeling, Gangtok, and Lachung by going on a weeklong tour, seven days and eight nights, provided by Tour My India. 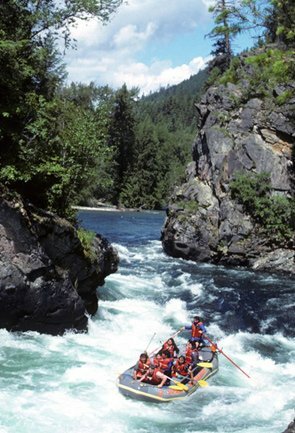 If you want to know more about this tour package, go through the itinerary below. 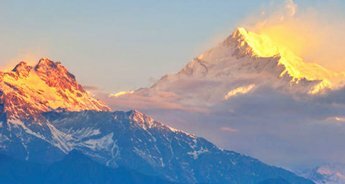 And if you still have queries regarding this itinerary regarding these, or you want to book with us, you can drop us an email at info@tourmyindia.com or give us a call at +91-9212777223/24. 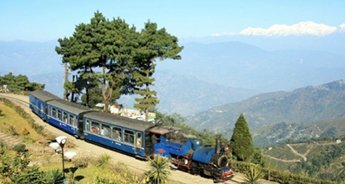 On arrival at New Jalpaiguri Junction Railway Station (Siliguri)/ Bagdogra Airport (Siliguri), you will meet the tour guide, who will accompany you throughout the journey. 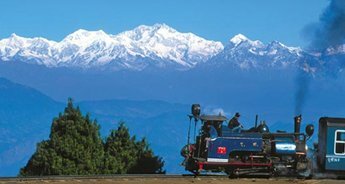 From your airport/railway station in Siliguri, you will embark on a 75 km journey to reach Darjeeling. 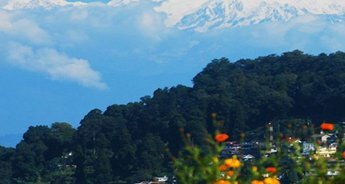 Upon arrival at Darjeeling, you will be transferred to a pre-booked comfortable hotel for overnight stay and dinner. 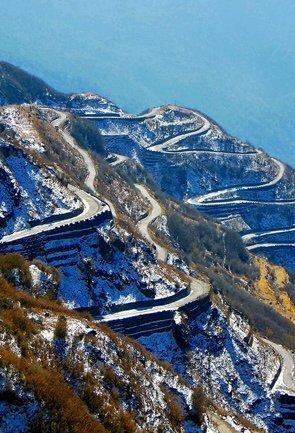 Early morning, you will drive to Tiger Hill (8,400 ft.), from where you can watch the stunning sun rising above the horizon over the Mt. 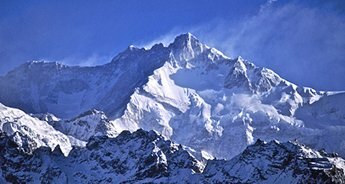 Khangchendzongha (28,208 ft), world's third largest peak. 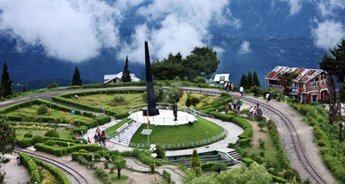 On your way back from Tiger Hill, you will be visiting other attractions of Darjeeling like Ghum Monastery and Batasia Loop. 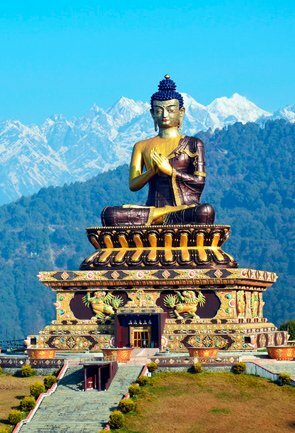 After breakfast visit Himalayan Mountaineering Institute, P.N. 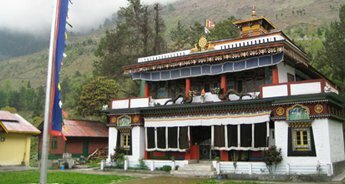 Zoological Park, Tenzing Rock, Tibetan Refugee self-help Centre (Sunday closed), Tea Garden, Ropeway and Japanese Temple. 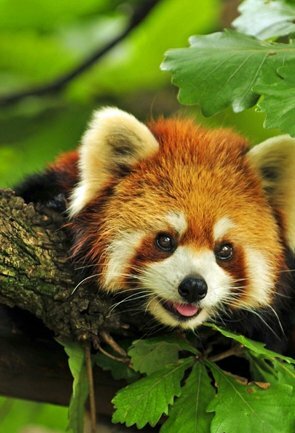 The evening will be free for leisure. 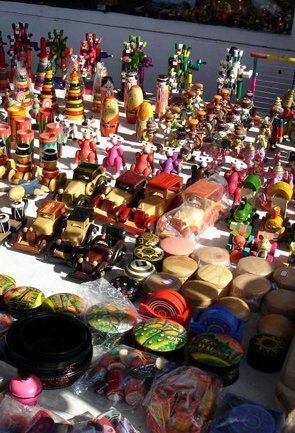 Also, you may go shopping and pick some tea and Tibetan artifacts. 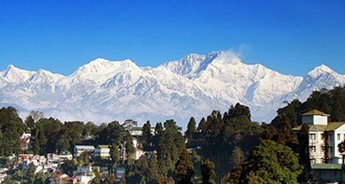 Dinner and overnight stay at Darjeeling hotel. 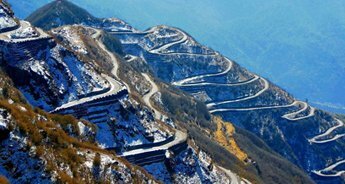 On the third day, you will go for a 4-hour drive to reach Gangtok (5,500 ft.), the capital city of Sikkim. 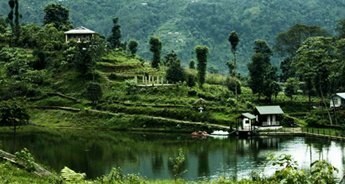 After enjoying the beautiful ride through the tea plantations and mountains to reach Gangtok, you will be transferred to a hotel. 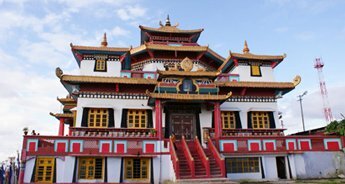 Today, you will be going for the city sightseeing tour, which includes places like Flower show, Cottage Industry, and Handicraft Centre, Institute of Tibetology, Dro-dul Chorten, Enchey Monastery & Banjakhri Falls. 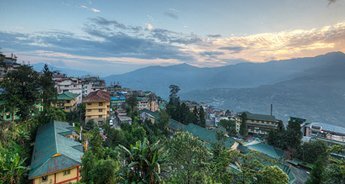 Stay and dinner at Gangtok Hotel. 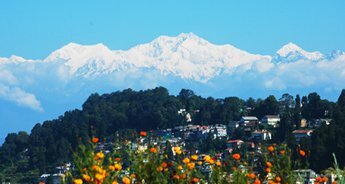 Post breakfast, check out from the hotel in Gangtok and embark on a 103 km long drive to reach Lachung, a small town located in North Sikkim. 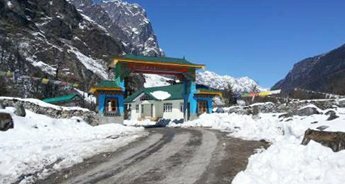 On your journey, from Sikkim to Lachung, you will enjoy a stopover at Naga Waterfall, Confluence of Lachen Chu (River) & Lachung Chu (River) at Chungthang and Bhim Nala Waterfall. 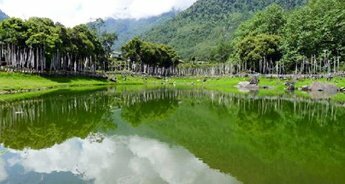 After a refreshing stop, continue your ride towards Lachun. 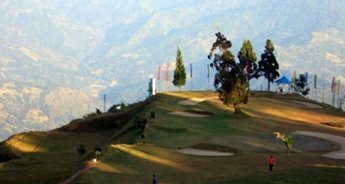 Dinner and overnight stay at Lachung hotel. 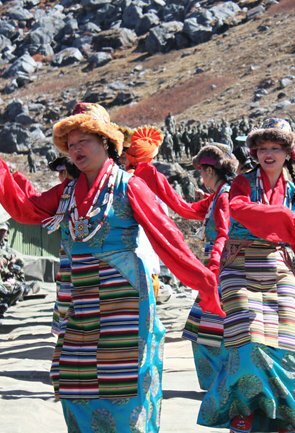 On the sixth day of your expedition, you will be visiting the Yumthang Valley, which is also known as the valley of flowers. 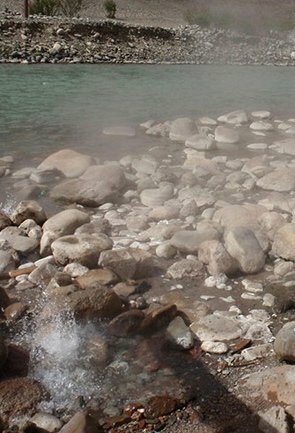 On your way back to the hotel, you will be visiting a hot spring, where taking bath is considered as good because the water contains medicinal properties. 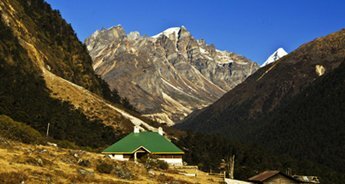 Stay and dinner at the Lachung hotel. 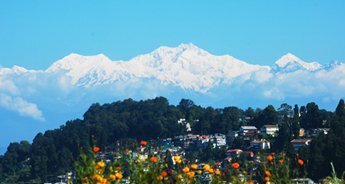 Post breakfast, drive back to Gangtok. 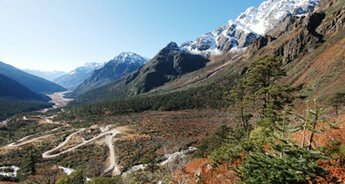 On the way, if the weather is clear you may get to see Mighty Khangchendzonga from Singhik viewpoint. 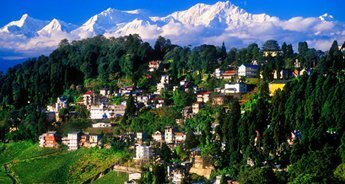 On arrival at Gangtok, you will check-in to your hotel. 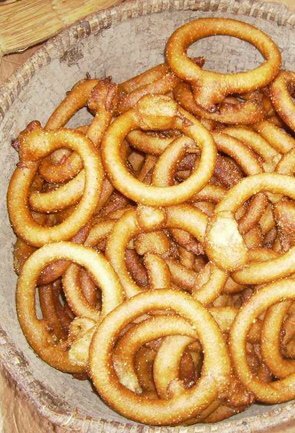 Evenings will be free for leisure. 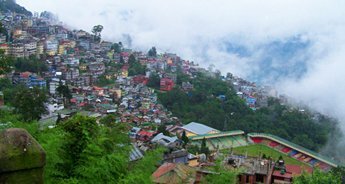 Overnight stay at Gangtok.